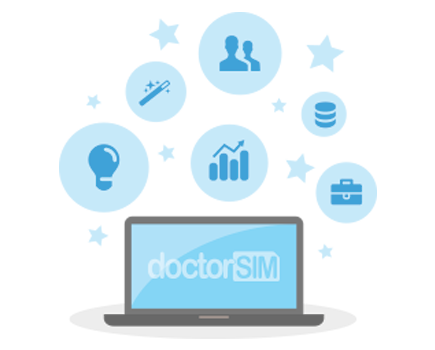 Have you tried to, or want to, unlock your Nokia using USB cable with doctorSIM but are having problems? 1. The program installed doesn’t recognize my phone and the process freezes during Stage 1, Stage 2 or Stage 3. 4. The following message appears: “Booting phone … OK, Unable to decrypt hashes”. 5. The phone won’t start after the software program has read the information on it. 6. The following message is displayed: “Stop: Unable to open device, Close following application and try again:, name: ServiceLayer.exe, pid: 2188″"
8. A “Phone not found" message appears in the bottom left-hand corner of the screen. Wait a few more minutes for the process to finish. If an error message appears, check your internet connection is working and start the process again from the beginning. So the program can read the information on the phone, disable either your firewall, antivirus or security software temporarily. Check the phone’s battery is fully charged. If the issue persists, you will need to restore the phone to its original settings and restart the phone. To do so, disconnect the USB cable from the phone, remove the battery, reconnect the cable and then replace the battery. Now turn on the phone pressing the on-off power switch. Check the phone’s battery is fully charged and the model of the Nokia is the same that you indicated when you made the request. The phone has probably remained in its original settings. Hold down the on-off power switch for 10-15 seconds and the phone will restart correctly. Make sure you completely close the 'Nokia PC Suite' application on your computer or alternately press Control-Alt-Delete and close the Servicelayer.exe application. Reading the information on the phone failed. Click on "logout" to close the session. Re-click on "login" and press "Read log" again. Disconnect the USB cable from your phone. Go to Settings, then Connectivity > USB > PC Suite mode and then reconnect the USB cable to your Nokia.